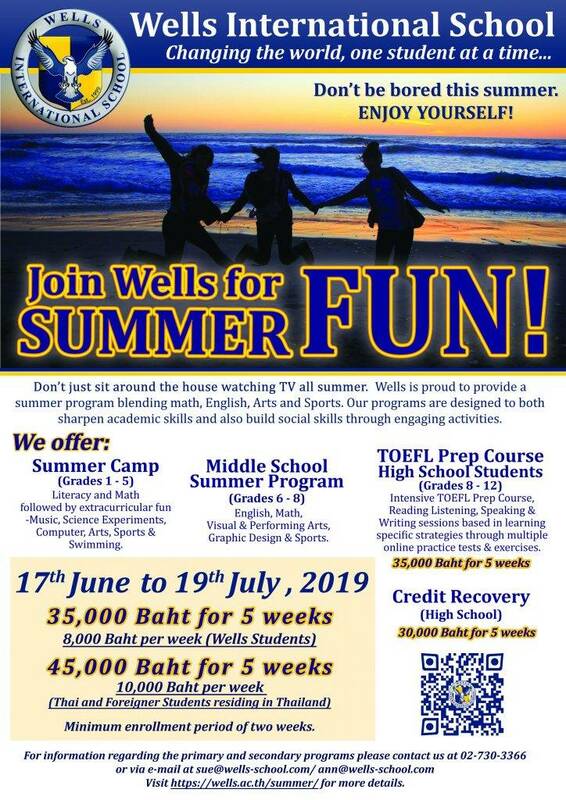 Home » Join Wells for Summer Fun! Join Wells for Summer Fun! Enrollment is now open for summer school. There will be an academic focus on Math and Literacy, with some creative fun with art, music, and performing arts classes. Students will also work on their physical health through PE classes, which also include swimming once a week. Science experiment workshops will also take place in order to encourage the your child’s scientific thinking. Please see attached brochure for costs and dates, enrollment form, and sample schedule. For further inquiry please contact the front office. Download the summer application for Thong Lor and Bang Na here. Download the summer application for our On Nut Campus here.